About a week ago Crista, a consultant from Perfectly Posh, contacted me to see if I’d be interested in trying out the company’s products. I hesitated at first because there are only a few facial products on the market don’t make me to break out. However, I decided it was worth a shot to test them out in hopes of discovering something new to add to my beauty regime. 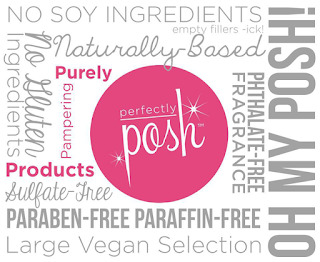 Perfectly Posh’s motto is: “We don’t sell ‘beauty products’ we sell pampering products. You are already beautiful.” It’s a positive, uplifting statement that will make you feel good about doing something nice for yourself. 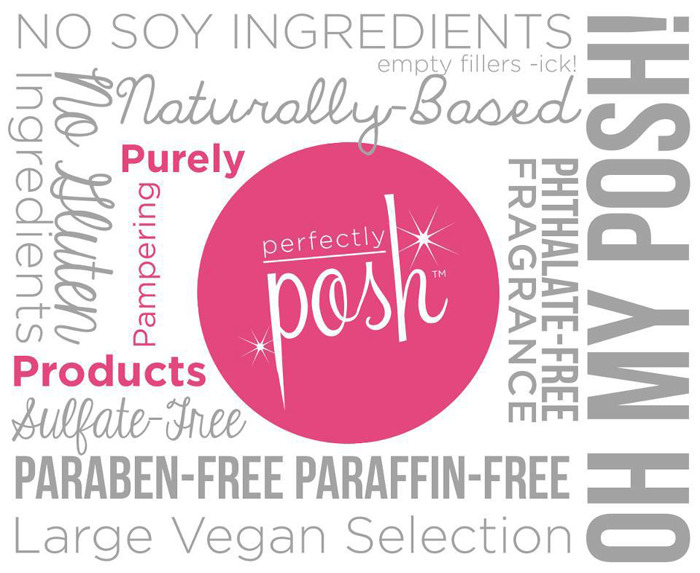 Another bonus is that their beauty and spa products are made in the U.S. from natural ingredients and are cruelty free, paraben free, paraffin free, sulfate free, soy free, and a majority of the line is vegan friendly. 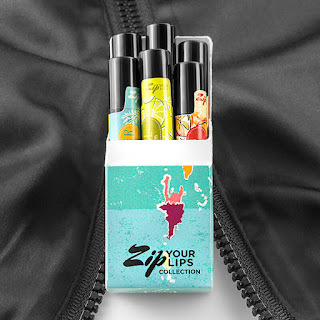 The company offers a variety of specifically targeted products for both women and men that will keep you looking fabulous. 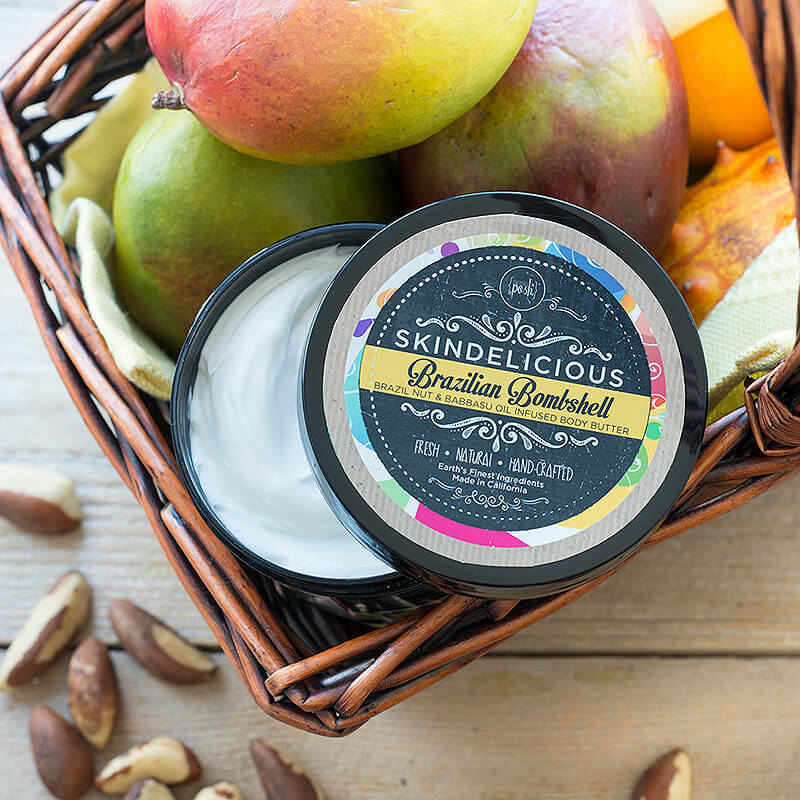 Brazilian Bombshell Skindelicious Body Butter: This is a nourishing body butter that smelled amazing. 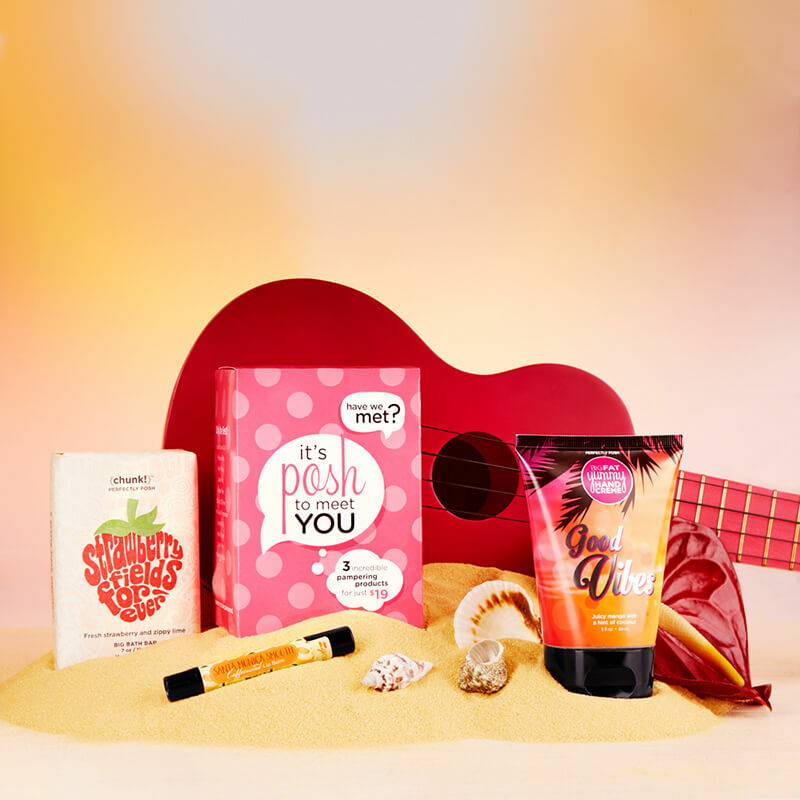 The fragrance is described as sweet jungle fruit and sugar cane. It wasn’t over powering, and it left my skin feeling silky smooth. Snarky Skindelicious Body Butter: This body butter has a fragrance that combines exotic flowers and sandalwood. It was also very pleasant and not overpowering and my skin was very soft after use. Sassy Suriname Skindelicious Body Butter: Another great body butter with a scent of musky floral and assorted fruits. Much like the others, it left my skin feeling soft for the entire day. Key Lime Pie Big Fat Yummy Hand Cream: (Vegan friendly) This hand cream smelled delicious! It was actually the first product I tried because my hands were incredibly dry due to the weather. I’ve used a number of different hand creams only to find my hands dry again after 15 minutes. Not the case with this one! The softness lasted for hours and there was no greasy residue. 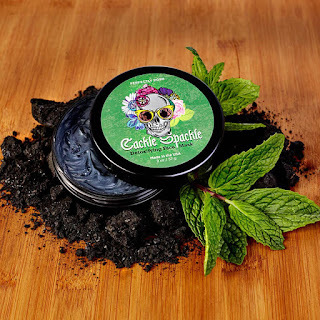 Cackle Spackle Detoxifying Face Mask: (Vegan friendly) This mask is made from charcoal powder, volcanic ash, and kaolin clay for a deep detox that leaves your skin feeling youthful. It also contains spearmint, which gave it a refreshing smell. This product did not dry out my face. In fact, it nourished and softened my skin. Apricots Overnight Moisturizing Mask: This mask absorbs quickly into your skin so you don’t have to worry about it ruining your sheets at bed time. When I washed it off in the morning I was left with bright, soft skin. Smashing Good Pumpkin Face and Body Clay: This lightweight mask was designed to unclog pores and sooth irritated skin. In just 15 mins it does the trick. Stripper Detox Body Mud: (Vegan friendly) An aggressive detox mud for your face and body that supports cleaner, brighter skin. The label mentioned that the product can irritate sensitive skin. I did notice a tingling sensation but no burn or irritation. After 15 minutes I rinsed it off and was rewarded with skin that was smooth and bright. 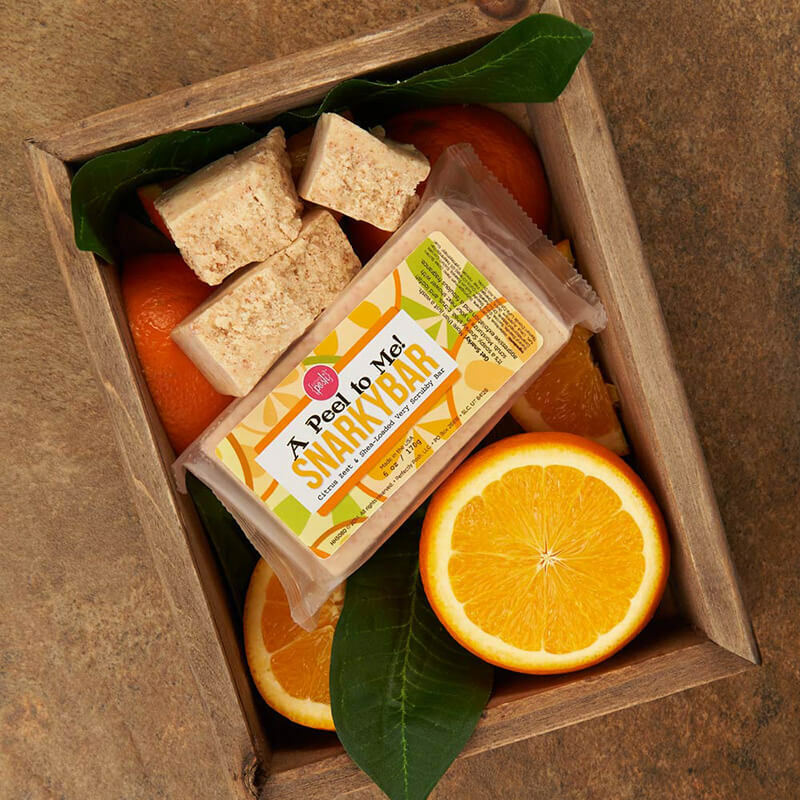 A Peel To Me Snarky Exfoliating Bar: This luxurious soap bar mixes shea butter with natural exfoliants to buff, polish, and moisture rough skin. It lathered quickly and had a nice creamy texture. I used it to wash my face (since it was like an apricot scrub but lighter) and was satisfied with the results - smooth, clean skin. Gender Bender Charcoal Soap Chunk: (Vegan friendly) This hearty citrus and woodsy bath bar is made with charcoal to draw out the toxins from your skin. The guys will love this one, and it also had a nice lather. Rio Rumba Sand Scrub: (Vegan Friendly): A beach sand and sea salt scrub for your feet. Jojoba and acai are added to soften rough skin. Using this was like getting a pedicure at home. Shoes always take center stage when it comes to my wardrobe, so it’s important that my feet look good. This scrub was a nice treat. End Mend Fix Spritz for Split Ends: This 100% vegan hair care product features a patented new technology called Kerabeads, which add shine while repairing damaged hair. I’ve been bleaching my hair for years, and it did a good job of taming the flyaways. San Juan Shaker Lip Scrub: A nourishing exfoliant that left my lips feeling silky smooth. San Juan Shaker Lip Balm: This balm smelled heavenly. The scent is exotic pineapple and coconut. I used it once in the morning, and my lips were still soft at bedtime.